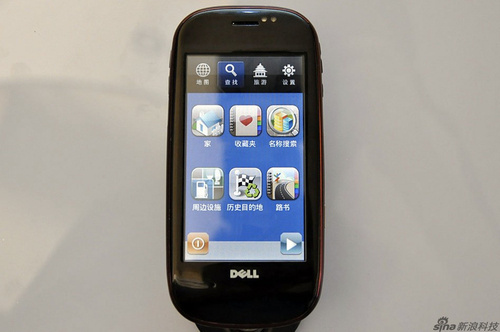 VSuite will allow Chinese and Brazilian users to speak commands on the Dell Mini 3i and Dell Mini 3iX. Nuance VSuite—embedded speech software for device command and control from Nuance Communications—is now shipping on the Dell Mini 3i smartphone from China Mobile and the Dell Mini 3iX from Claro in Brazil. The deal brings Nuance’s speech technology to a host of new users. China Mobile boasts more than 500 million customers while Claro serves more than 42 million people in Brazil as part of the America Movil network. The VSuite solution supports a variety of languages, including traditional Mandarin, traditional and simplified Cantonese, and Portuguese. According to Michael Thompson, senior vice president and general manager of Nuance Mobile, the deal was the result of an existing partnership between Nuance and Dell. He says the companies have long worked together and saw value in bringing Nuance’s voice capabilities to Dell’s devices. VSuite allows users of the Dell Mini 3 to dial contacts, search and launch a variety of applications—including games, calander, music player, text messaging and voicemail—all via the power of the human voice. Thompson adds that although Nuance already ships in a variety of markets around the world, he sees growth opportunities in the emerging markets like Brazil, China, and India. “Nuance's ability to support more than 80 languages with predictive text input and more than 20 languages in voice solutions is a key driver for the success of our partnerships with OEMs and carriers worldwide,” Thompson writes.